If you’re coming by car, take the Tokai-Hokuriku Expressway and get off at the Mino Interchange. 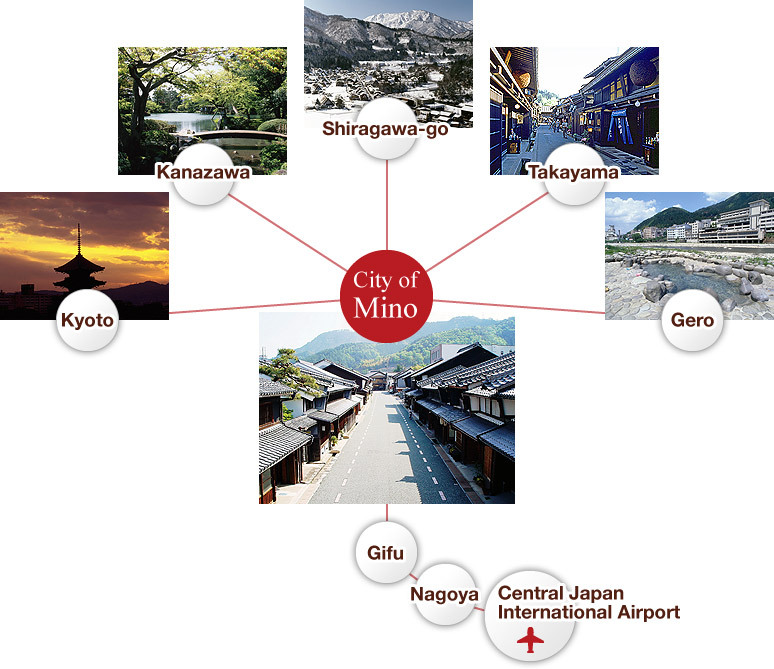 This map shows how to get from Mino to major cities and tourist spots in the Tokai-Hokuriku region. Click on a city to find out what modes of transportation will get you there and how much time it will take. Note: The time given is just a baseline, but the actual time will vary according to traffic conditions. Note: You have to go from Gujo Stn. to the Interchange by taxi.